Manitoba is stepping up the number of hip and knee replacements and cataract surgeries done in the province, months after a report ranked Manitoba at or near the bottom in wait times for those procedures. Health Minister Cameron Friesen announced an injection of more than $5.3 million to perform at least 1,000 more hip and knee replacement surgeries in 2019 — a 25 per cent increase. It will also fund at least 2,000 additional cataract surgeries next year, a 16 per cent increase, he said. "This important investment by the Manitoba government … will make it possible for patients to get access to these high-demand services sooner," said Réal Cloutier, CEO of the Winnipeg Regional Health Authority. More than 4,100 hip and knee replacements and 12,900 cataract surgeries were performed in Manitoba in 2017-18. However, a report released in April by the Canadian Institute for Health Information ranked Manitoba last for the percentage of people waiting longer than the recommended 16-week time period for cataract surgery. The percentage of patients who received the procedure within that period fell from 41 per cent to 32 per cent between 2015 and 2017, according to the CIHI report. Similarly, the percentage of patients who received hip replacements within the recommended six-month time period fell from 69 to 53 per cent, while 43 per cent of patients received knee replacements within six months in 2017, down from 64 per cent two years earlier. "When you compare Manitoba to other provinces, or the Canadian average, we're [in 10th spot] out of 10 — bottom of the barrel — when it comes to cataracts, and nine out of 10 when it comes to hips and knees," Friesen said Thursday at Concordia Hospital, the main centre in the city for hip and knee replacements. "Those are numbers we must improve. Manitoba patients deserve better health care sooner." Additional cataract surgeries will take place at Misericordia Health Centre, while additional hip and knee surgeries will be performed at Concordia as well as Grace Hospital, the Health Sciences Centre, and the Boundary Trails Health Centre in southern Manitoba. "The reality is that we are seeing an increased and sustained demand for these procedures as our population ages," said Dr. Jack McPherson, co-chair with the Wait Times Reduction Task Force. "We are very pleased the government of Manitoba adopted our recommendation, and believe it will significantly augment the progress we have made to date in completing more procedures and ultimately reducing the amount of time patients currently wait." Friesen doesn't expect the added surgeries will translate into more jobs, or the need for additional equipment. "At this point in time we believe we can use existing resources. This increase is for the surgeries themselves … not to purchase new technical equipment," he said, citing improved technologies and scheduling efficiencies as ways to get the work done without more resources. As for specific reduction targets, Friesen said there are no goals at this point other than "we want wait times to drop." He said those times will be measured along the way and reported back in late 2019. 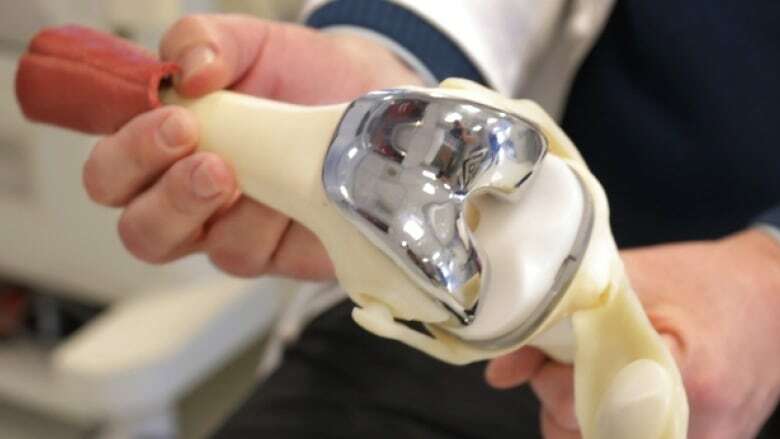 "We know what this represents in terms of capacity [1,000 more hip and knee replacements, 2,000 more cataract surgeries] and now we have to see what it's going to mean in terms of wait-time reduction," he said. "But one thing's for certain — you're going to see an impact on people who are on the wait lists."